Finally it’s Saturday and …. when today is over, there you are my day_off is comin to me. Oh, i am so exhausted now, need a refreshment to recharge this whatsoever battery might be installed in me. have i told you how much i love Saturday ..? noi : then can i tell you again …? time is running very slow now here at my office plus how my boss mad today because how BIG is our electricity bills for this month make it more slow that it use to be. 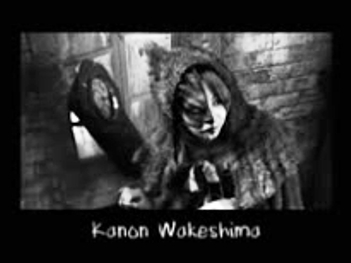 i just wanna go home and listen to this Kuroneko ~ Adult Black Cat ~ single because today there’s somebody who already share the radio rip from Radian show last night. watch the streaming in here or DL the MP3 in here .. I say, Whhaaawww ….. !!! that’s an awesomely splendid song ne, i didn’t imagine it’s gonna be splendid like this. I mean it sounds wild, catchy and flirty at the same time. 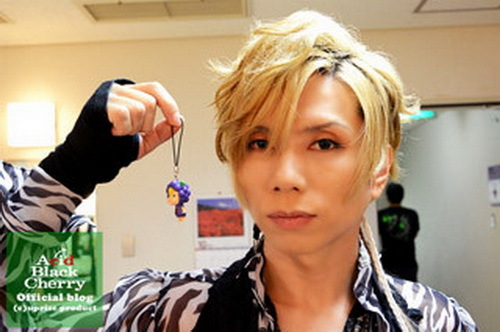 the meeting was held in Kofu, Yamanashi prefecture and 【Team Acid Black Cherry】 wrote interaction with everyone in Yamanashi as a cozy meeting. 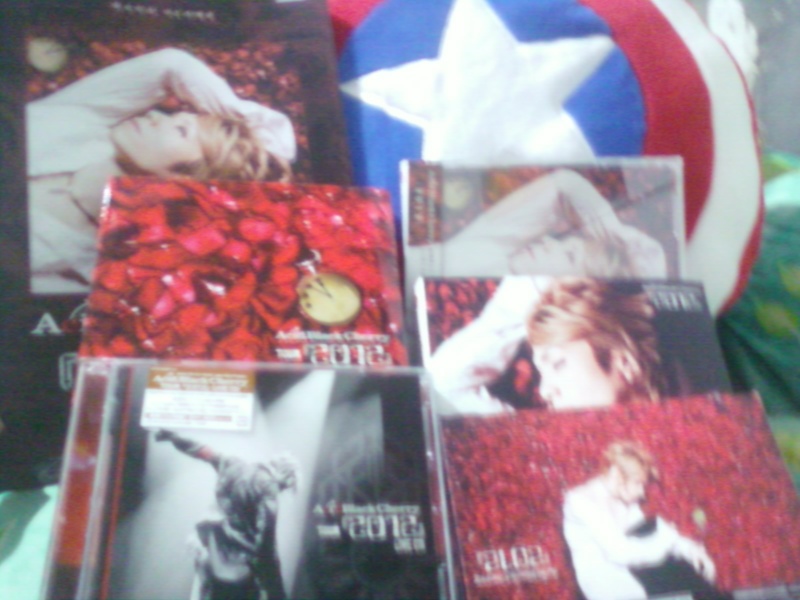 Acid Black Cherry came to on 2011 Free Live and now for the 1st time come again there as a national tour. * 「ほうとう」/「hōtō」 : this is a popular dish of Yamanashi prefecture, even it’s the signature dish there. It’s a flat udon noodles and vegetables stew in miso soup. * 「鳥のもつ煮」/「tori no motsuni」 : stewed chicken offal and this dish acquired the grand prix in B class gourmet grand prix of Japan. eeehh, am i in the culinary class now …? 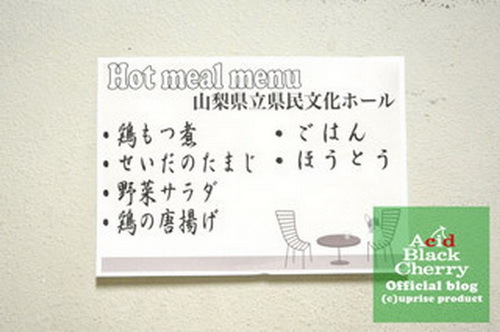 yasu : cooking class, you …? 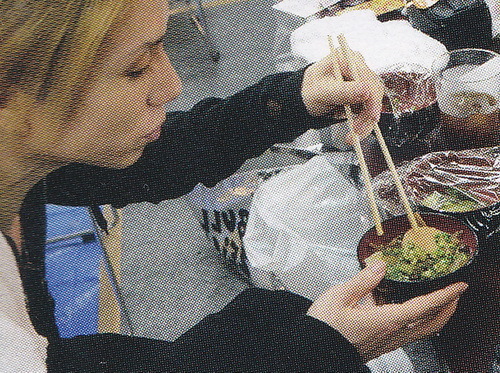 noi : i feel like i am in the cooking class ..
yasu : there’s no spot for eater there ..
noi : i’ll cook fist, then eat ..
reading all messages via twitter and Janne Mobile FC after meal while make up …. 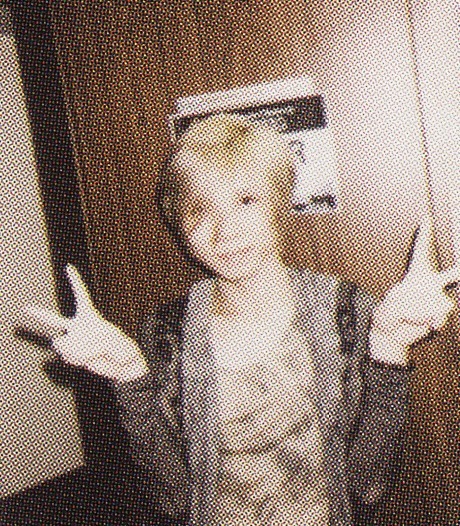 and yesterday October 18th, 2013 on Chunichi Simbun evening article , there is yasu there. …. 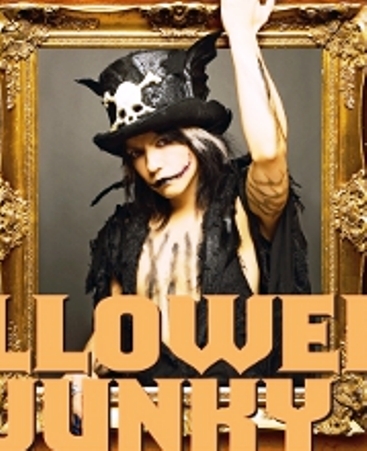 Tonight is the 1st day of HALLOWEEN PARTY, and today’s Kobe World Memorial Hall ~ Live is over, and for this year yama_chan allowed us to see/follow him on the backstage/after live together with HYDE, yasu, DAIGO and others via his nicovideo channel ..
now, i can’t wait for my HYDOLL to arrive because finally i meet someone who will buy it for me and she went to tonight’s live in Kobe World Memorial Hall. what a lovely Saturday is today. 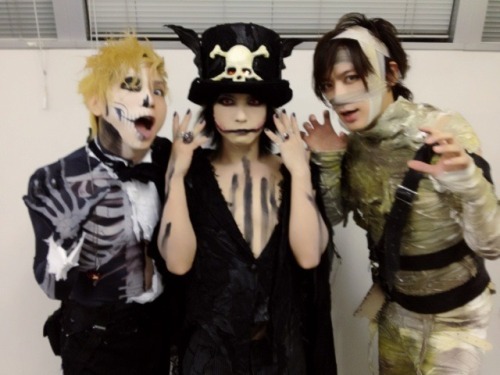 My fandom is so alive, HALLOWEEN PARTY is a bit open than last year thanks to yama_chan, and tomorrow is my day off. Finally after 3 weeks nonstop workin i got my day off this week ne. ~ go to cinema to watch Tom Hanks‘s Captain Philips because hello, this is Tom Hanks we are talking about ne ..
yasu : a new brain …? noi : a new boyfriend …? 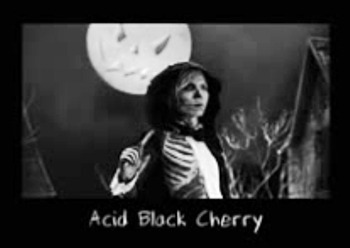 yasu : you don’t even have an old one ..
noi : well let me tell you something and say #Amin for me ..
this PV absolutely awesome ne, it really gave me feeling of HALLOWEEN PARTY itself and the night scenery of HALLOWEEN Night. i spent this day at office finished it and tryin to use CorelDraw seem’s it never like me or i am the one who can’t use it? ah i think that’s the right answer ne, see i wanted to make it white and red colored because that 2 colors are on my country’s flag, but somehow it turned into pink like that? … i give up to edit it again, so that’s all i have for this project. now i realized now and forever i will never be The Red Ridding Hood, not only because i am a vampire but also for me it is always Sadako, Gumiho or Dora. 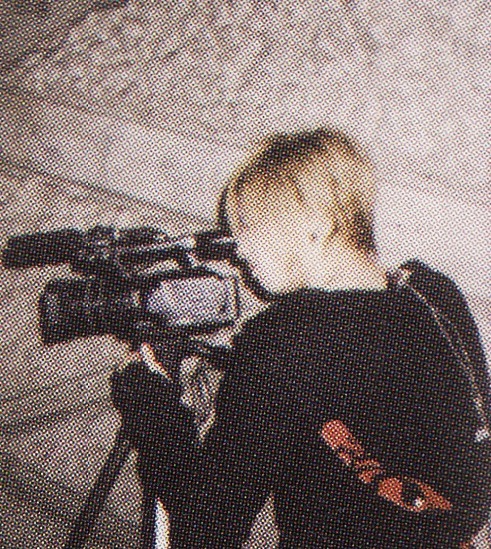 well that’s really me btw and trust me that Noi_ko (Noi and Sadako) looks much better than if you see me with purple shirt and yellow backpack as Dora The Exploler screamin yay, I did it, I did it …!!! 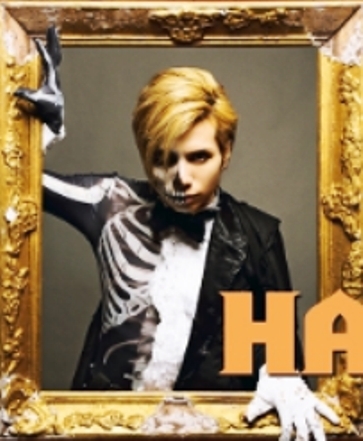 over and over on HALLOWEEN Night …. Somehow that scene reminded me to that TV show where yasu run from one restaurant to another and the host kinda dragged him to run faster … xD … poor ya_san, he was like OK OK i am running now ….!! now let’s talk about Time Between Dog and Wolf, i posted something about this on last post (can’t remember when) but i do remember i wrote something about this. Time Between Dog and Wolf is time bertween 06:30 – 07:00 AM and 16:30 – 17:00 PM, when the sun is on it fresh and run out of battery time. even i know the sun never stop shinning, it only because the Earth goes round the sun, so we don’t see it at night, but aha that’s keep on my mind since my childhood ….. xD and hell yeah it will be soo mabushiii for you to lookin at it. And when you face it or you have to face it maybe because you are walking or driving right to the sun, so you will have to face it. driving at this Time Between Dog and Wolf is very dangerous. Time Between Dog and Wolf ne, because as it namedTime Between Dog and Wolf itwill make your eyes blurry so something that is a wolf will look like a dog and a dog will look like a wolf, in this case a car might look like a motorbike and motorbike will look like a car/truck. I hate if i have to drive in this Time Between Dog and Wolf and i will have to deal with it every Saturday and Sunday when i have to drive myself to office. 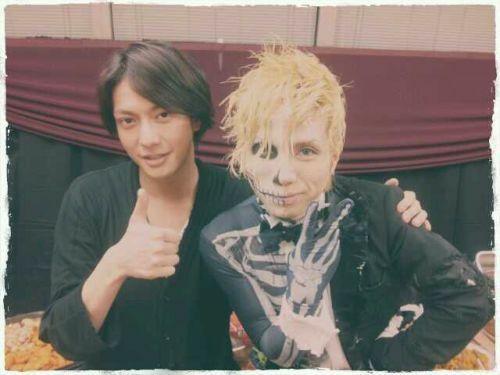 ~ talk about each other in some interviews, like when HYDE talk about how yasu just turned into his manager recently on his book THE HYDE and how yasu always talk about his Kami everywhere ..
~ they both are in the same event and doing something together like now, with this HALLOWEEN JUNKY ORCHESTRA …. something special about this episode of Opening Act is this girl Arielle not only given a chance to sing as Opening Act but also Rod Stewart himself asked her to do a duet on his forever love song : Have I Told You Lately …. in acoustic, OMG come on who didn’t know this song …? 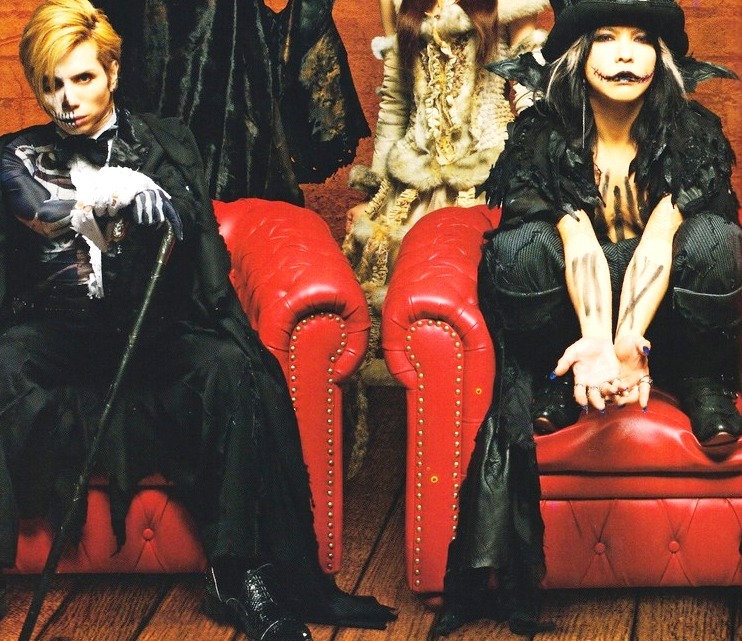 Ease my troubles that’s what they (read : HYDE and yasu) do …. 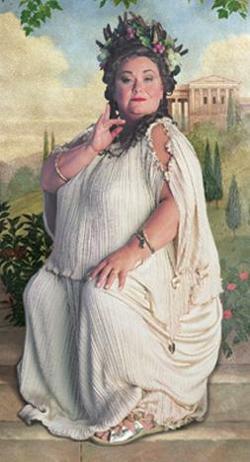 noi : nee guys, have i told you that …. 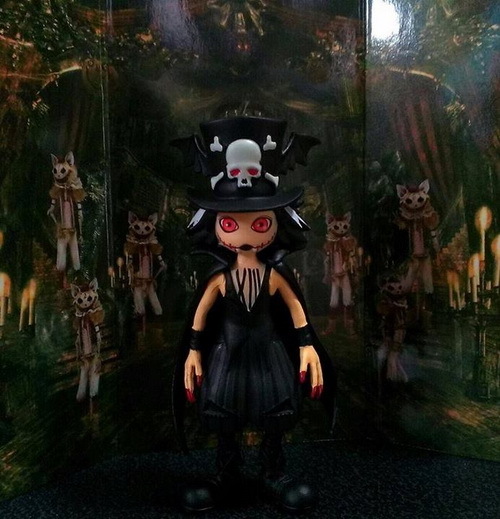 HYDE : tell what noi_chan …? 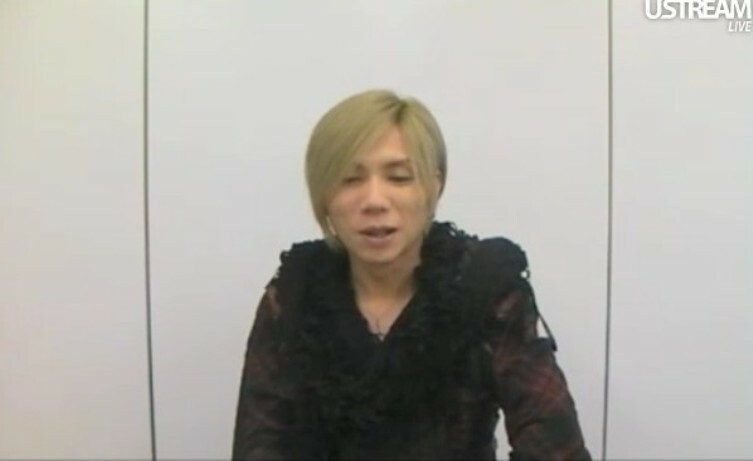 yasu : just say yes she did HYDE_sa,n or she will start to sing …. my friend BCL (for all of you in Indonesia, she is not the artis BCL btw, she only have the same 3 letters),get hospitalized because she’s having an infection on her urinary systems and it affected to her kidney. The doctor said this is because of her habbit to chose colorful drink (coffee, cola, …. etc) than pure water. 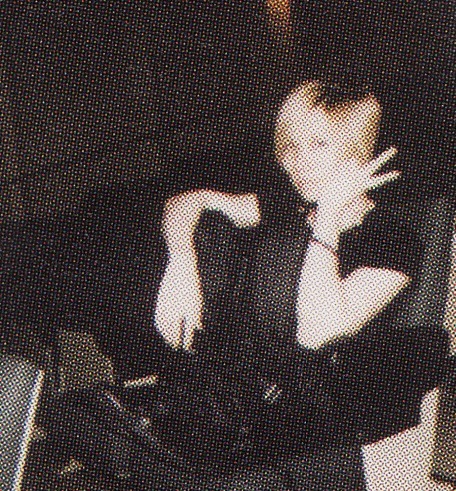 when i get home, i saw that on my twitter time line, yasu just tweet_ed that about on hour ago, so he asked to all his fans via twitter : Tomorrow 22:00 PM what are you doing? is there something up tomorrow night? i wonder why did he asked that, and for me what else i will do and always do every 22:00 PM but waiting for something to come up from you, ya_san …? 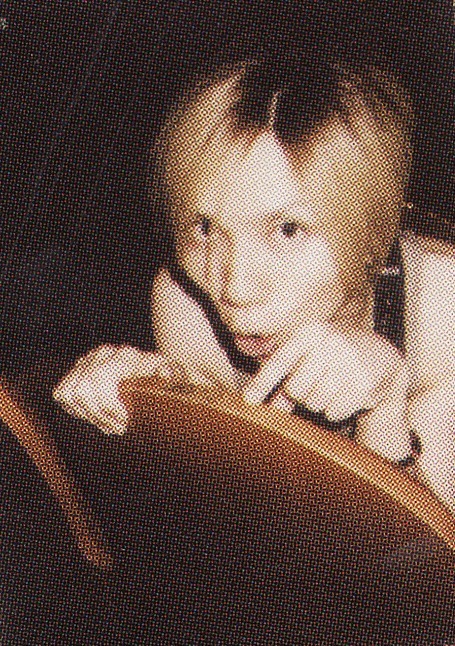 Who knows if, … yasu’s gonna sneak out from that frame like this, while sayin …. 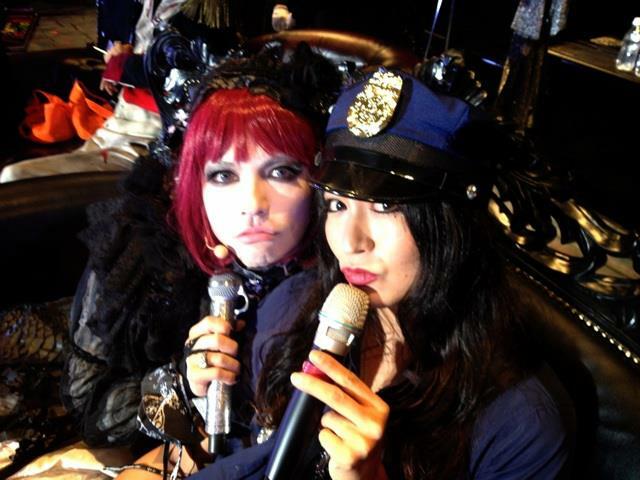 yasu : is this Halloween already …? 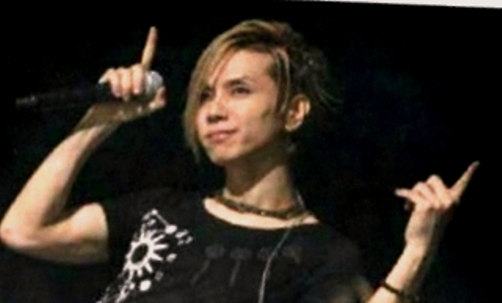 noi : no it is not ..
yasu : how many days more …? 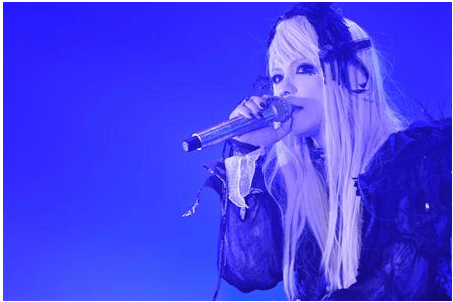 noi : 28 days more …? i think what i watched before is the not complete one, because hey, i didn’t see that clock/date moving ne, …. 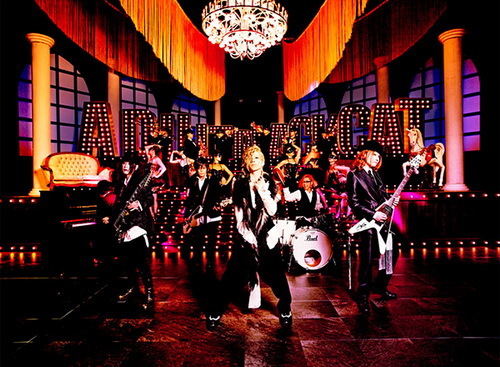 ajajajaja … but i love how they begin the PV with that scene. 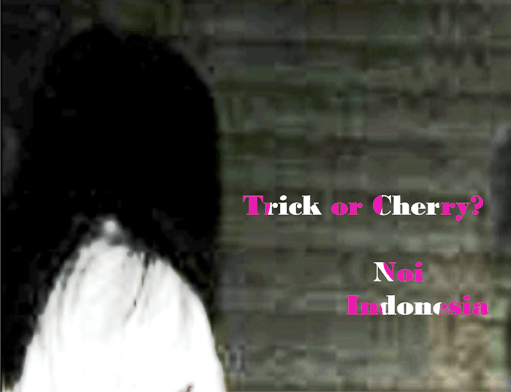 All of them (the monsters/ghost) come to The HALLOWEEN PARTY on October 31st. look at the walking scene, when all the monsters/ghost ho own the HALLOWEEN night walk alll the way for their trick or treat. The avenue reminded me to the dark avenue on Tim Burton‘s movie Sleepy Hallow . 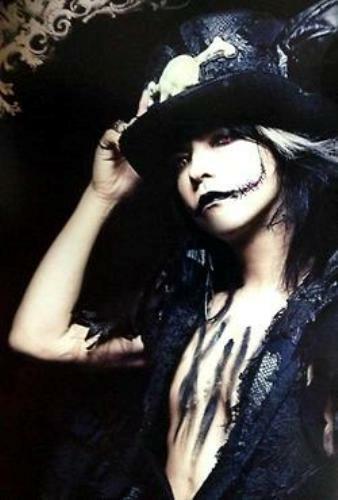 I wonder if there’s a chance for Tim Burton see this PV, what will he think about this. 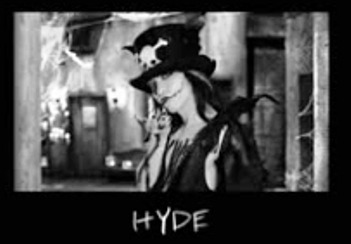 Because for me this PV is so Tim Burton ..
Maybe this is what HYDE want it to be, because i think he like Tim Burton’s work, not only because he cosplayed as Edward The Scissorhands on his last HALLOWEEN PARTY 2011, but somehow i do always think HYDE some interest to Johnny Depp and Tim Burton related to. I also love Tim Burton ne, when he was younger, he look like Nicholas Cage. He is one of my fave director/movie producer and writer beside Jerry B, The Duo Mark Gattis and Stephen Moffat, Francis Ford Coppola and Stephen Spielberg. I love all of them with their own way to change the stories into continually images that we call it as a movie, catch our eyes and then blow our mind along with the story. look at them, so perfect right ….? 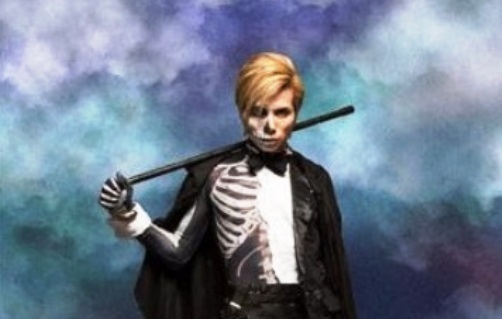 nah eventually in this PV as The Boss Monsuta he choose to walk in the clueless way, look at him ne, he looks like he doesn’t need anything and just playin that stick and bone like that …. 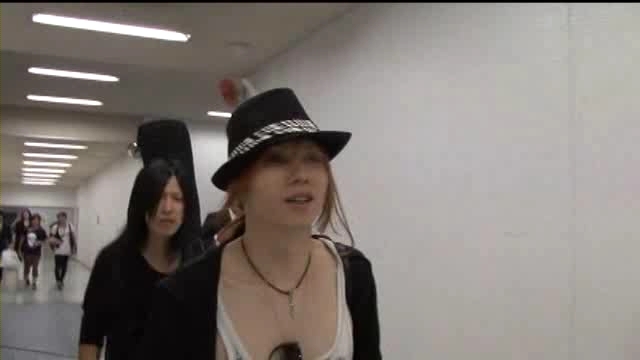 HYDE : try that, who know yasu will come …. noi : really? then sure i’ll do that …. and i think now when Halloween’s comin closer the euphoria finally reach me in this Bahama 221B, i see Halloween everywhere. I saw one store that sell some girly stuffs like hair accessories, doll, lamps … etc also start to put Halloween things on their display. I was like, hey it finally here, even it only one store and i never buy such girly things like that …. noi : i buy some stuffs but not stuffs that i thik it’s too girly and blink blink ..
yasu : ah she is gonna start the moon and erewolf again …. and also scary movies just all over my telly. from CSI until NCIS they all have a spooky episodes fit with this Halloween euphoria. 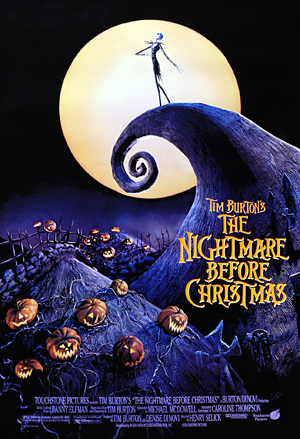 I also watch Tim Burton’s A Nightmare Before Christmas 3 times in one week, until i know exactly what the character is gonna say before they say it. So it ended with me practice to be a dubber with this movie. 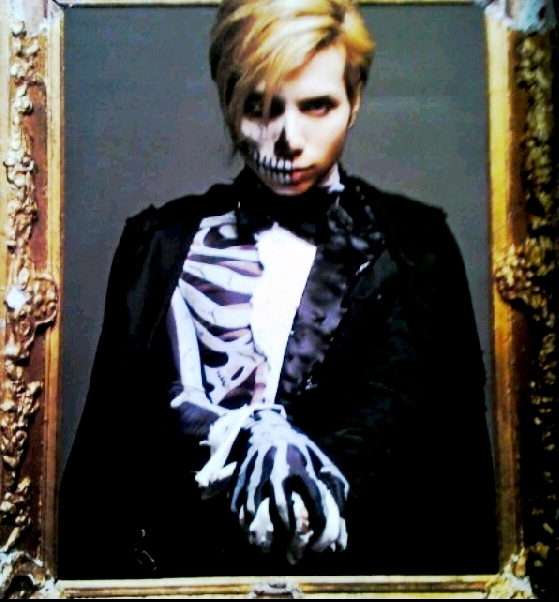 not only that, because i listen too much that HALLOWEEN PARTY song, i keep hear that ♪ La La La La … HALLOWEEN PARTY ♪ … ♪ La La La La … Let’s Trick or Treat ♪ … when i watch A Nightmare Before Christmas instead of the ♪ This is Halloween, This is Halloween … ♪ sounds from the OST, see what HYDE did to me ….? remember when i said i am going to Jakarta this Friday for my visa application? nah here i am now still in here at this office do nothing but tryin to calm down my brain a little bit with no air conditioner. Too much doing this calculations just make me dizzy. Hell yeah i love math and calculation and all related to the never sleep money but when it became too much, my brain is overloaded. i need a break now and i should do that. I have plan to not take a day off until my day to go to Japan next December. because i want to finish as much as project that i can do. 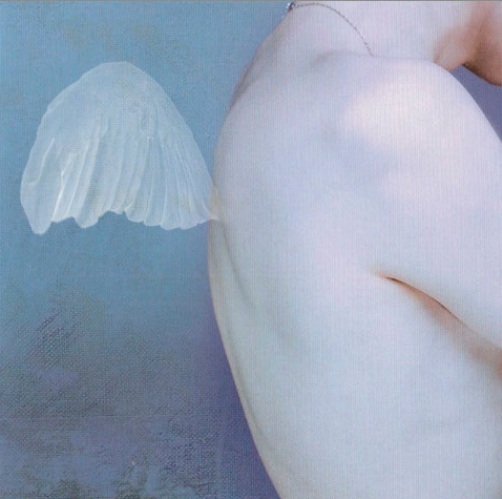 It kinda like i want to try myself i wanna know where and how far is my limit, and now i think i am on my limit. 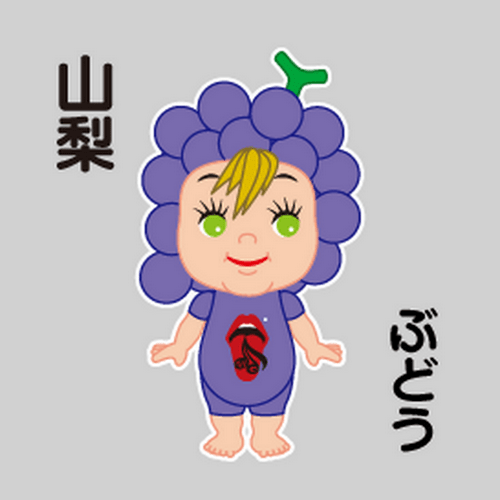 i need time to do something for my self, get me out of this numbers all over me, and now this 1,000,000 steps to be close to you, yasu feels hard to do …. 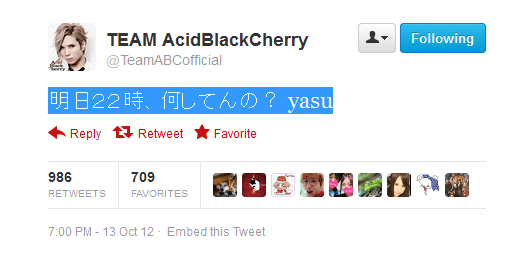 yasu : who said it will be easy …? My plan is like what i wrote on my initienary paper. i am gonna be around Shibuya, only there. I think that would be enough for me. And now with what my boss asked me i have to think about it ne. I hope he will forget it when December 8th come, but as i know he never forget. ~ it will turned into another Idiot Abroad ….? 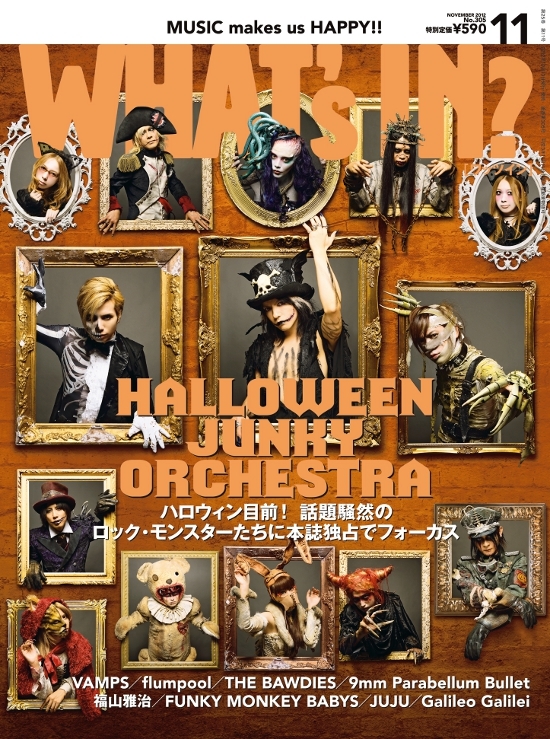 from 『WHAT’s IN?』Web , there you are for November issue the cover is …. and here’s what happen, OMG i just can’t believe it ne when i open the pre-oreder link on CD Japan, <—- you can check it by yourself btw, it said Availability : Pre-Order Sold Out … oh yeah i am late again ne, as i remember i always late for this magazine on CD Japan ne, The last WHATS IN? 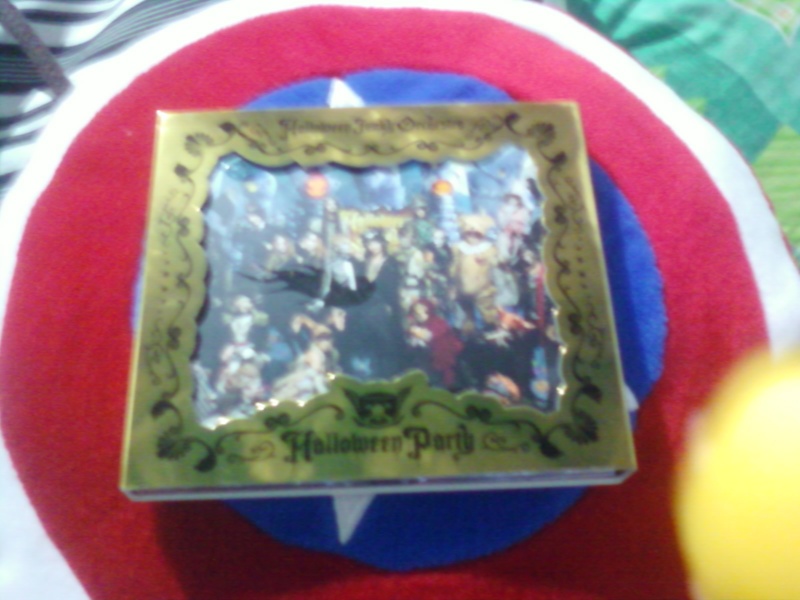 with HYDE as the cover i also had to buy it from HMV. so for this November issue for WHAT’S IN i ordered it from HMV. 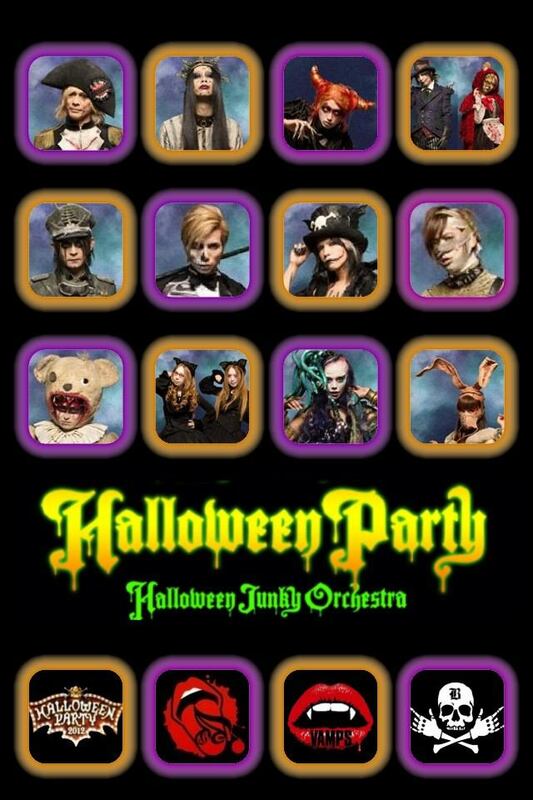 HALLOWEEN JUNKY ORCHESTRA, HALLOWEEN PARTY and the ♪ La La La La … HALLOWEEN PARTY ♪ … ♪ La La La La … Let’s Trick or Treat ♪ … is just everywhere right, the euphoria has just begun months before the release day and the event itself ne. that WHAT’S IN cover for me it gave me the same thing ne, the diefferent is in this cover it looks like all of them, the monster/ghost or whatever you may named it defferently are waiting from their own frames …. of course waiting for the HALLOWEEN night to come, the night where they all can be free to go and hunt all of you (not me, btw because i am save , or not lucky? here in Bahama 221B) and none of them want gonna come here and catch me no matter how much candy, donut and jellybeans i have and i want the GRIMM and The Boss Monsuta to knock in to my door at HALLOWEEN night …. 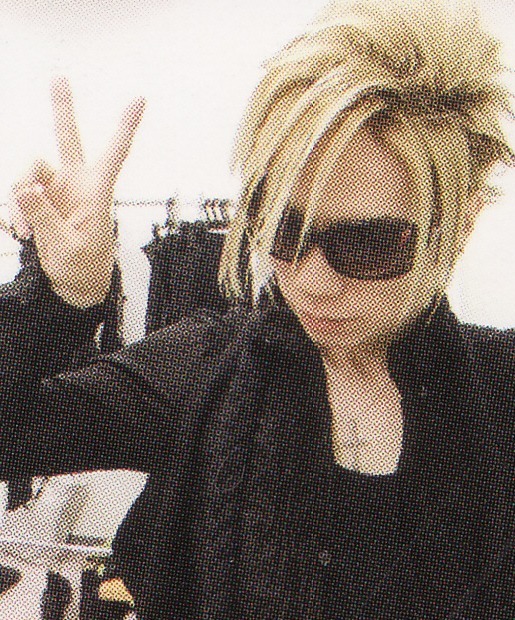 noi : don’t you guys …. 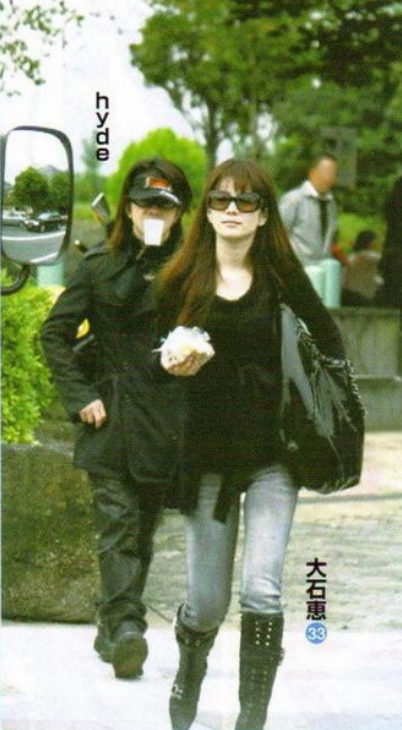 HYDE : i think i know why did she said that …. btw today is October 10th and it is pay day. One day in every month i am gonna see all of them, All persons who work with me, work together from all division will see me once in a month in the pay day to get the salary. And today …. i did my homework ne, i managed to mentioned all of their names. All of them with no mistake ne, Waw this is great right finally i can push my brain to remember and match all their names and face. So what i did today is smile at them, gave them their enevelopes while sayin their names and a little chit chat plus simple jokes to them. And hey it worked ne, i am not that bad to remember and i still can count on this brain to remember something else but my calculations everyday. I did this after i finished this dorama : Rich Man, Poor Woman, at the last episode it showed how finally Hyuga_san able to mention all of his employee who work for him, all of them with no mistake. He used not able to do that and he had his something health/tend to forget someone face/name. 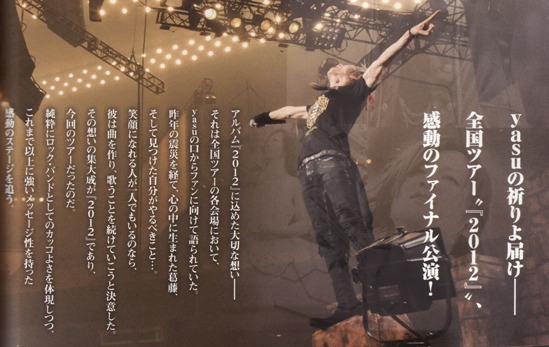 Nah when i saw him do that, i was like if Hyuga_san can do that, why can’t i …? people may think you watch movie or dorama just for fun or add your drama queen level on your blood by cryin like an ididot whenever your fave character died or broken_hearted. But that’s not all ne, you can find another things to learn ne, maybe you can learn and improve your language skill. Like me in my forever year on my Japanese class with my dorama list to watch. noi : someone asked me about that ne what should i say, you know i don’t join a formal class ..
i’ll think about that later ne, see that papers above, i don’t even do anything for my Visa application ne, i keep delay it again and again, i have to do this before Ied ne, i should go to Jakarta tomorrow and meet adrio_nevralka there, she will take a day off tomorrow because tonight she is watching MIYAVI live at Hard Rock Cafe. 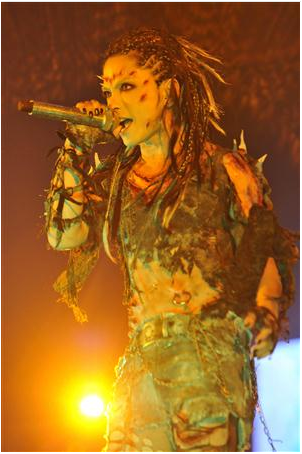 She asked me to join her to watch that show but i said no, because i know nothing about MIYAVI, nothing at all. 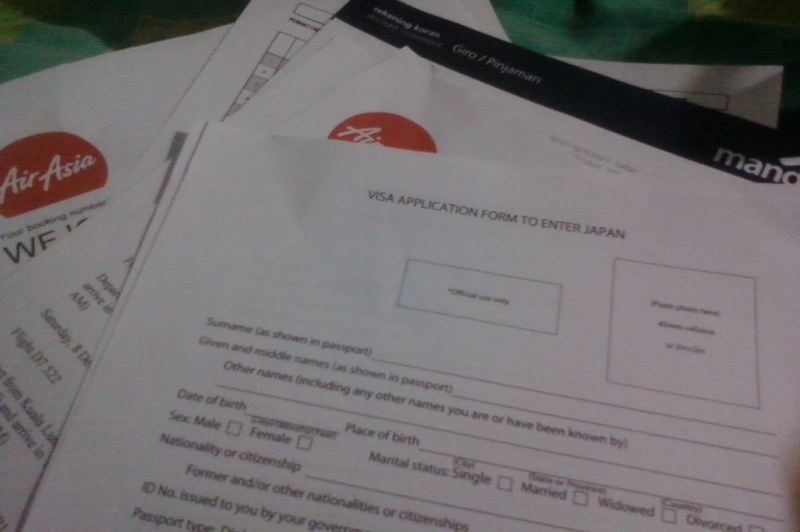 I think i am gonna go to Jakarta for my Visa application on Friday, i hope i can take a day off on Friday ….